ScheduleSource is a workforce management software for small to enterprise businesses. Their offerings include a web-based application called Teamwork that is used for employee scheduling, time and attendance tracking, forecasting, and more. Ready to try ScheduleSource? Request for a demo. As of the date this article was written (10/19/18), there are no recent user reviews of ScheduleSource online. If you are a past or current ScheduleSource customer, leave a review to help other small business owners who are deciding whether or not to use the company. ScheduleSource doesn’t publish its pricing plans online. However, services from providers similar to ScheduleSource can range from $5/month (for basic software) to $100/month (for more advanced applications). Interested parties can contact their sales team to request for a customized quote. Ready to try ScheduleSource? Request for a demo. Do I need any special hardware or software to use ScheduleSource? No. There are no hardware or software requirements for ScheduleSource. You can access it from any internet browser. Does ScheduleSource offer a free trial? 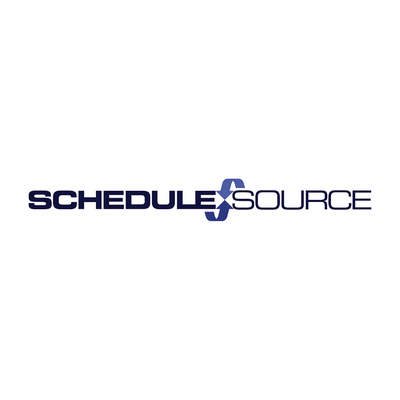 What industries does ScheduleSource cater to? ScheduleSource services businesses from any industry. Some of the industries that they frequently cover include healthcare, higher education, transportation, private security, and virtual workforce. Information on specific third-party integrations is not readily available on the company’s website. However, ScheduleSource claims that their program can be integrated with HR and payroll systems. Interested users can contact the company’s support team for technical details. Not sure if ScheduleSource is the right fit for you? Read our reviews of all top employee scheduling software or check out one of these three ScheduleSource competitors.